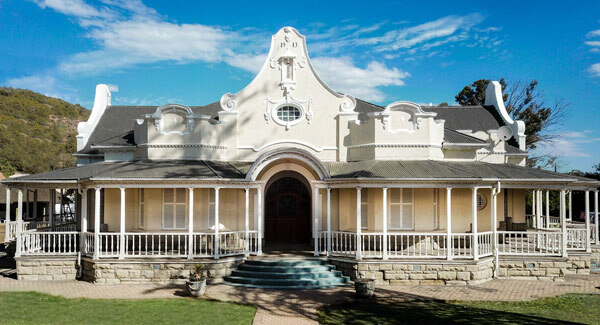 Some 5 minutes drive from the centre of Oudtshoorn, nestled in the fertile Elephants River valley, lies the production farm of Bakenskraal Ostrich Palace which was surveyed and proclaimed in 1843. 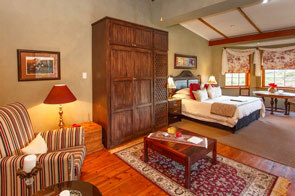 This newly renovated Ostrich Palace, now offers 4 star excellent accomodation. Off Street Secure Parking, Fireplace on premises, Satellite TV, Laundry service, Garden, Braai /Barbecue, Honesty Bar, Fax, Internet Access and free Wi-Fi, Air conditioning. All Rates include full Breakfast. Karoo Cuisine paired with a fine selection of top-wines is available. 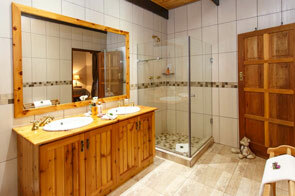 Walking/Hiking, Jogging, Swimming Pool, Tour of private Ostrich Farm & stargazing at night done by registered guide.